“Common priesthood”, shared by all the baptized, animates the vocation and mission proper to the laity and in particular of women in the Church, in the diversity of talents and in the complementarity of the roles entrusted to each one. The Eastern Churches, and also the Chaldean Church, are called to open themselves to this dynamism of grace if they do not want to betray their own nature as instruments of salvation. The Chaldean Patriarch Louis Raphael Sako recalls this in a speech broadcast by the official media of the Patriarchate, Fides News Agency reported March 16, 2019. The Christian faith – recalls the Chaldean Patriarch – cannot be associated with any pseudo-doctrinal argument that aims to justify theoretically any form of discrimination against women. It is enough – the Primate of the Chaldean Church underlined – to look at the Virgin Mary and the female figures that surround Jesus, from the beginning of his saving mission. Citing the teachings of Pope John Paul II and Francis, Patriarch Louis Raphael stressed that “if we want to advance our societies and our Churches, we must give way to lay people of both sexes to enable them to invest their talents”. Even if the ordained priesthood remains reserved for men, positions of responsibility in the Church can be attributed to the laity of both sexes in all other fields, including those of financial management, education, and the media. 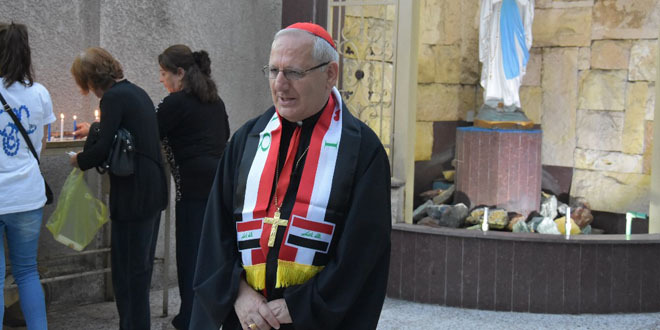 Starting from these considerations, the Chaldean Patriarch invited everyone to experiment with new spaces of participation and sharing of responsibility with the laity, in all areas of ecclesial life. In the conclusion of his speech, Patriarch Sako emphasized that even in the Chaldean Church the first steps have been taken to entrust functions of responsibility to lay people, and in particular to women. A process that we hope will continue in all the Eastern Churches. In this regard, the Primate of the Chaldean Church also referred to the role of responsibility held by Lebanese professor Souraya Bechealany (see photo), current Secretary General of the Council of Churches of the Middle East.